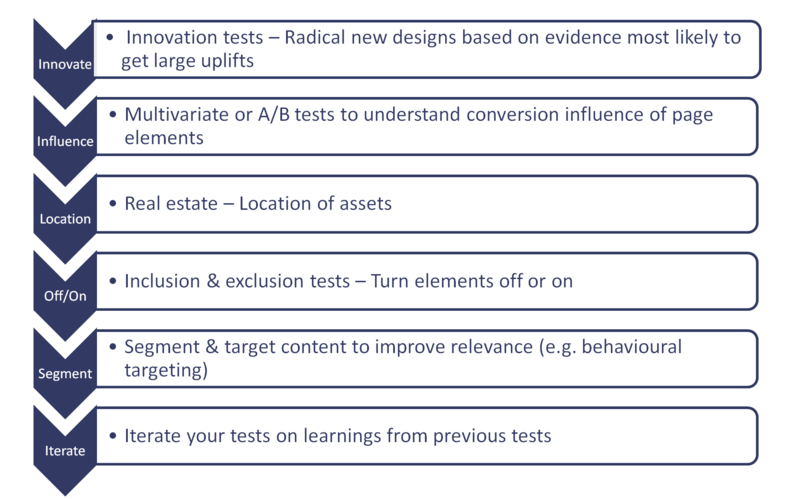 An innovation (or re-direct) A/B test is where you want to experiment with a completely different design for a page. This gives you the opportunity to design a page more aligned to your primary business goals and to try a radically new experience that might allow you to leapfrog to a much higher conversion rate. 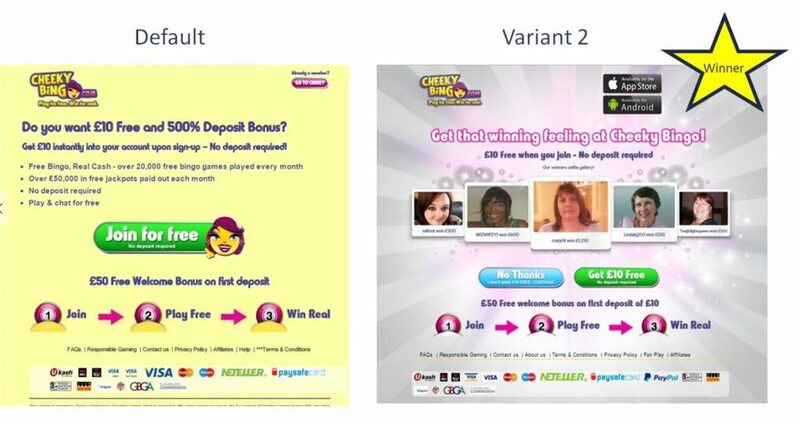 The innovation test below involved improving the social proof of the landing page. We added images of recent winners and a suitable heading. The bullet point copy was included in one variant, but the winning experience had no bullet points. The test achieved a large uplift in registration conversion. Such a large uplift probably wouldn’t have been achieved if only single changes were made to the existing page. Conducting an innovation test allowed the team to create a totally new page design incorporating a number of learnings from previous tests.